ClinSearch is committed to providing high quality services to its clients. We therefore maintains a well defined Quality System that is orientated towards international quality standards. ClinSearch is committed to operating in a compliant and ethical manner in our customers’ interests. To do so, we lead our services in compliance with the law as stated in the US Foreign Corrupt Practices Act of 1977, as amended, 15 U.S.C. §§ 78dd-1, et seq. (FCPA) and the UK Bribery Act 2010and also according to the principles that have been enacted by Advamed, Eucomed and EDMA in their respective ethical codes in addition to the common principles that were ratified in May 2011 by nine medical device industry associations including the three mentioned above (Global Statement on Ethical Interactions Between Medical Technology Companies and Healthcare Professionals). This document was first signed in May 2010 by Advamed, Eucomed and EDMA (Joint Trans-Atlantic Statement on Ethical Interactions Between Medical Technology Companies and healthcare Professionals). In addition to these documents, a zero-tolerance policy emerges from both the FCPA, which has already generated billions of dollars worth of penalties, and the UK Bribery Act 2010, which came into force on July 1st, 2011. When the industry approaches HCPs, it is in the presence of a systemic risk of developing biased relationships. However, the relationship between the industry and HCPs is necessary and legitimate in two situations which lead to scientific improvement and medical knowledge: Health product evaluation and HCPs training and education. Therefore, clinical evaluations, which cannot take place without the involvement of HCPs, appear as a major topic where ethical and anti-corruption principles should be applied. 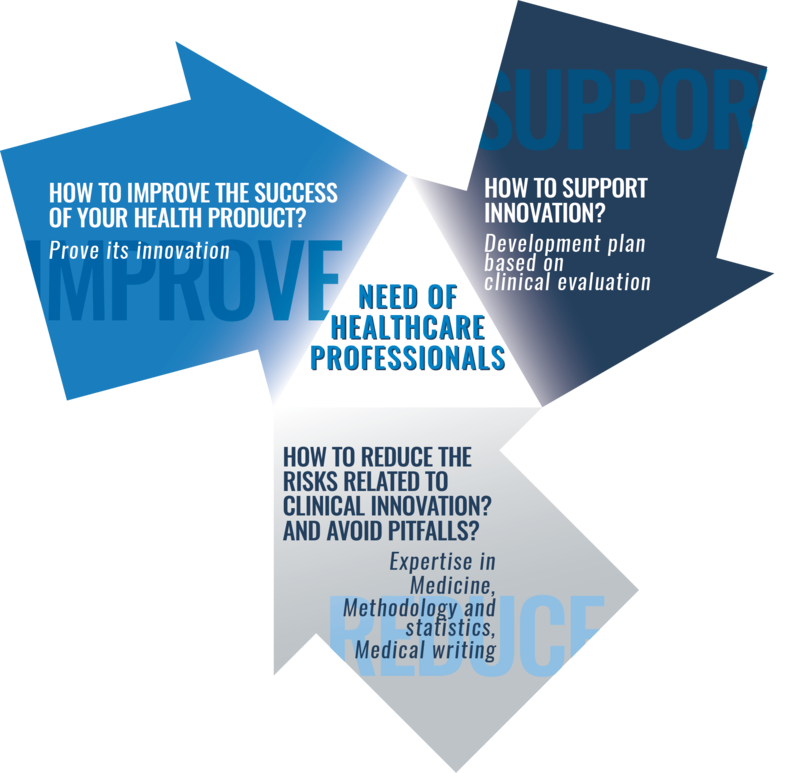 Clinical evaluations are the only way to prove your product’s innovation: not only to obtain CE conformity but also to collect the clinical evidence that is now required for the robust file for pricing strategies and reimbursement. ClinSearch offers solutions for clinical evaluations that meet compliance principles of the above-cited flowchart. We are extremely vigilant concerning financial contract writing rules: financial agreements must be appropriate, fair, and transparent. The contract is signed before the start of the research, and the payment is processed only when the HCPs have performed high-quality work. In addition, HCPs are committed to declaring a conflict of interest when they are involved in scientific publications in relation to the clinical research. Additionally, we believe that compliance can be guaranteed if the different responsibilities are well distributed among stake-holders in the clinical evaluation. Thus, for our clinical evaluation projects, ClinSearch uses in-house resources as well as independent and qualified HCPs.